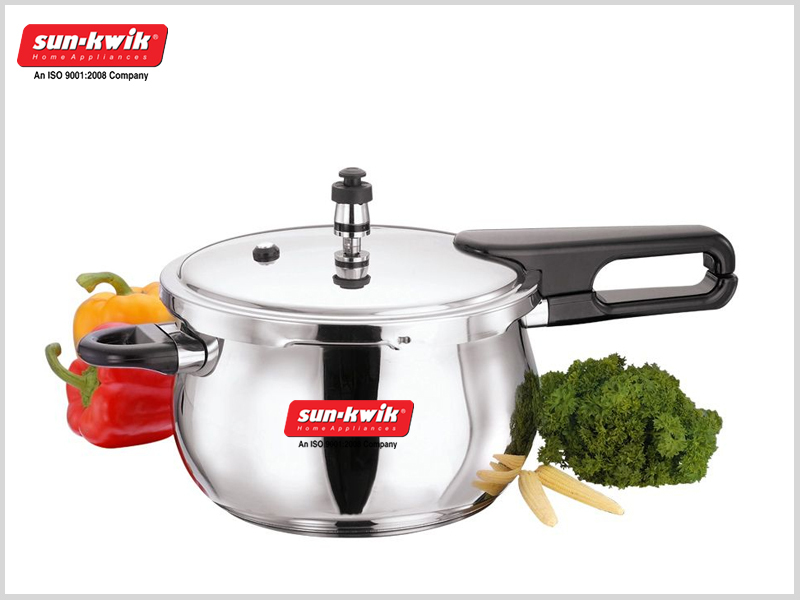 The different types of Pressure Cooker Accessories India are used in different ways for preparing different types of tasty delicacies. Pressure Cooker versus Classic Method of Cooking – Which Is Better? 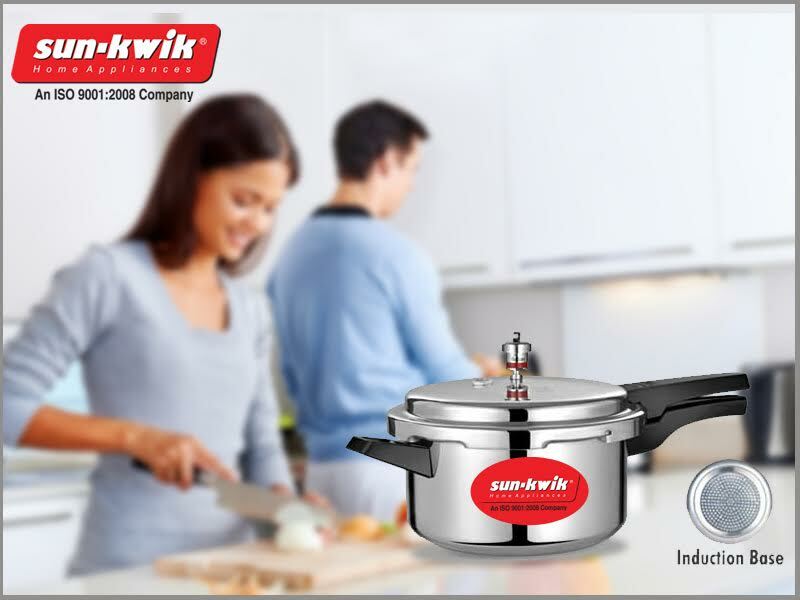 The pressure cooker is always considered to be the king among all the other home appliances in an Indian kitchen. 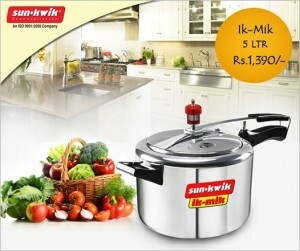 A pressure cooker is one of the item which is not only present in every kitchen but also it is considered to be the fastest way of cooking than any form of a traditional method. Today, a pressure cooker is an indispensable kitchen appliance for all families. 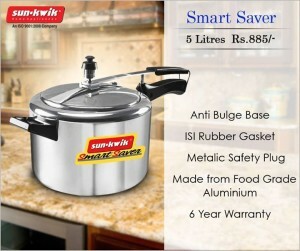 It ensures faster, easier and better cooking as compared to manual cooking. An ideal pressure cooker is the particular pressure cooker which comfortably satisfies each and every cooking requirement of the customer and which makes cooking an enjoyable hobby as well as a prosperous profession. Irrespective of the country one is residing in, there is hardly any household which does not have a pressure cooker in the kitchen. 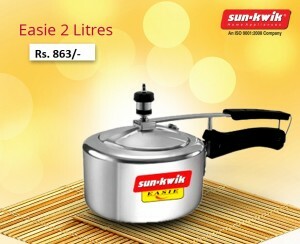 A pressure cooker is the most time and fuel saving option invented till date. No matter if the person is using a flame heater or a electric heater or an induction heater, pressure cooker is definitely the best when it comes to cooking within a short time period and also save fuel. First built almost a decade ago, the pressure cooker has undergone tremendous change in terms of design; however the basic principle still remains the same. The steam is trapped within the container and is used to increase the pressure within it. This results in low use of fuel to cook the contents of the pressure cooker. 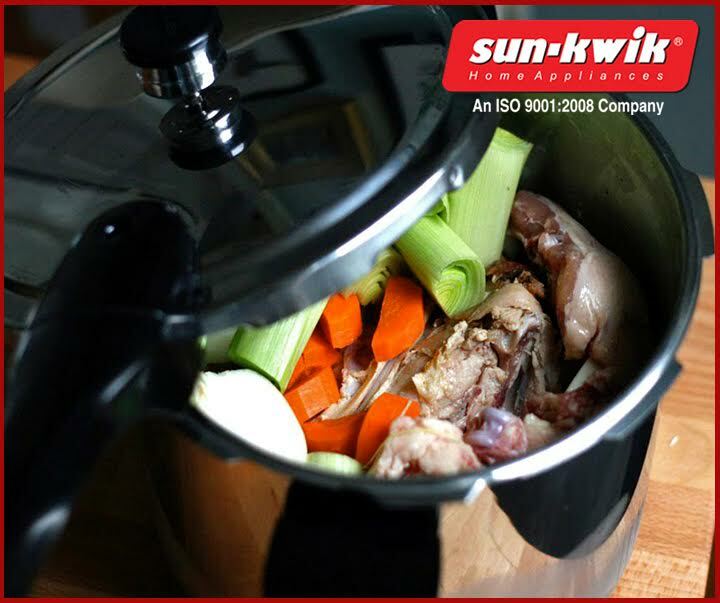 However, the wide variety of pressure cookers available in the market currently makes it important that one checks the pressure cooker one is going to buy and ensure it will suit the purpose. The type of heater one will be using is important while selecting the right pressure cooker. There are different types of pressure cookers available for different types of ovens and one should check carefully that the pressure cooker is the right one for the type of oven one is going to use. The locking mechanism must be checked in person. It should be easy and firm. Nothing sophisticated is advisable as this can lead to dangerous accidents in future. If you are from India, make sure that the pressure cooker you are buying has a service centre nearby. All types of pressure cooker accessories in India might not suitable for the model you are about to buy. 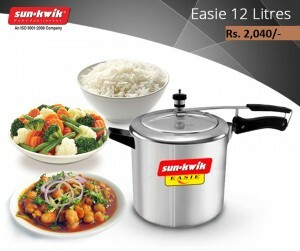 It is important to check the availability of the particular pressure cooker accessories in India. Warranty is important and should be checked properly. It should have a decently long warranty. The safety valve must be present in the cooker. It helps avoid many accidents. Various types of pressure weights are available. Check if there are a variety of weights available along with the cooker. A pressure cooker is a sealed container with a control device/valve.It controls the steam pressure inside the pot.After placing the pot on the stove,the container heats up,the inside liquid forms into steam and creates pressure in the pot.The high pressure helps cook quicker.It was invented around 1600s by a Frenchman named Denis Papin. Pressure cooker increases the boiling point of the water.Normal boiling point of water is 212o F,but with the steams pressure boiling point can get high to 250o F.This higher heat helps the food to cook faster. It increases the pressure and it helps force fluid into the food rapidly,which helps it cook faster.It is very useful for certain foods,such as hard meat and few vegetables. 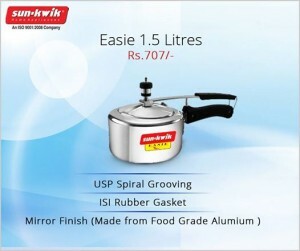 For safety reasons,there are at least three valves in the modern pressure cookers.The three valves allow the mechanical release of pressure in case it builds up excessively high.Different valves are used for different cookers.You can get a range of pressure cooker accessories in India, for example:the valves and the gasket,which is a rubber ring and extremely important part of a pressure cooker.You need to keep the gasket clean and free from any food particles to make sure a good secure seal. A pressure cooker consumes less water and time;holds more vitamins and minerals than conventional cooking process which gives the food a nutritional boost. A pressure cooker is energy efficient.As a pressure cooker takes not as much of time,as a result the amount of energy consumed is condensed too. Cooking in a pressure cooker is timesaving.One can cook food about 70 percent quicker.One can put all the ingredients together and just sit and relax.Pressure cooker will make it quicker. Compared to usual stove-top or oven methods the kitchen remains much cooler if you are using a pressure cooker.As all the pressure and heat is trapped inside the pot,it doesn’t produce that much of heat. You would usually need to clean up all the messy spatters after cooking,but while you are cooking your food with a covered pot,you don’t have to clean up immediately after cooking. • Capacity –The capacity of the pressure cooker pot should be right for the kind of family you are expecting to have.In case you are confused about which size will meet your demand,take some help from the sales executive present at the store.In case you are expecting guests occasionally,it is better to go for multiple sizes. 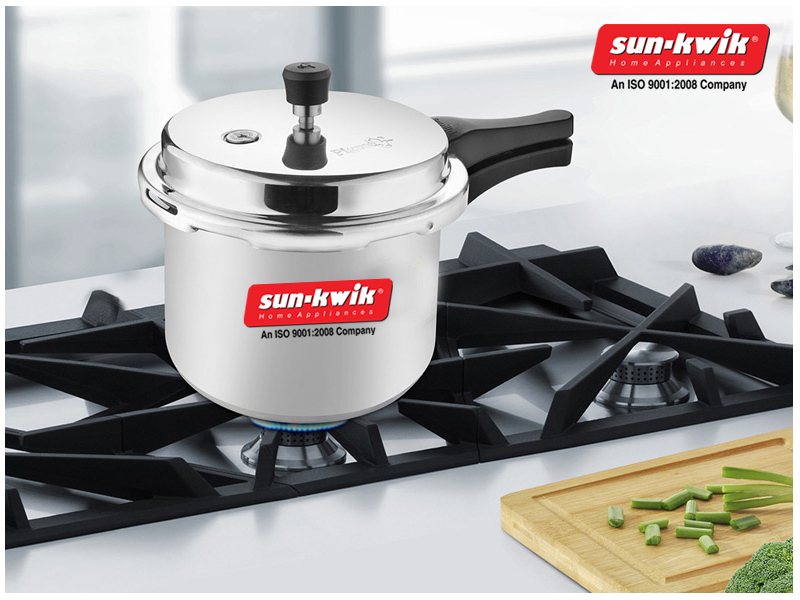 • Compatibility –The pressure cooker must be compatible with both gas oven as well as induction oven.The use of induction oven is increasing by the day and thus it is important that whatever cooking utensil you buy should also have induction base. • Simple locking system –The pressure cooker should not have a complex locking system.Remember to check the locking system by opening and then locking the pressure cooker at the store.This is one of those features which should never be fancy. • Safety Valve availability – This is one of the most important pressure cooker accessories India.The Indian market still does not have many smart pressure cookers and the safety valve is of utmost importance in case there is come problem with the pressure release mechanism. • Heat resistant handles – A pressure cooker is subjected to high heat and thus all of its parts become hot.In order to properly work,the handle must have heat resistant coating. • Adjustable pressure control –If possible get the pressure cooker which allows changing and controlling the pressure within. • Warranty – Remember to check the warranty both on the pressure cooker and the pressure cooker accessories India.The warranty should be long enough to justify the use of the pressure cooker as compared to the price.Also remember to ask for the nearest service centre in case of emergency. Pressure cookers are the best friend of anyone who is always on the rush. When you are running for work or preparing your kids for school, pressure cooker helps you the most. But often it is the sole reason of bad cooking or sometimes accidents too. But what is it that makes the cooking go wrong all the way? What are the mistakes you commit that results in such instances that is stopping you from using pressure cooker accessories to cook again? Take a look. It is the most common mistake that you often commit while using pressure cooker. When you are cooking meat, it is obvious that you will prefer tender meat. But if you are trying to overcook it even for two more minutes it will again become tight. It often happens that you over cook again to make it tender and it becomes. But what you fail to understand is that it is actually falling apart. But with this whole process the meat becomes tasteless. When you are cooking something in pressure cooker, try to use a recipe. You are probably thinking to achieve the same taste that your grandmother used to create. But you are wondering even after using the same ingredients in the cooking, why it is not tasty as it used to be. You have probably no idea that the two extra minutes that is killing the taste of the food. It is another mistake that you often make. There has to be some minimum quantity of cooking in your cooker. Generally jiggle top cookers need 1 cup of water and the spring valve model needs ½ cup of water. If you are adding extra water then it will ruin the taste of the food and the spices will end up in the floating in the water. The vegetables and meat need not be drowned in water unless you are thinking about infusing cooking method. Avoid these mistakes while cooking and taste a piece of health with pressure cooking.